Robinson Pelham, the London-based fine jeweller (and Golden Goose PR client), is delighted to announce it’s first charity collaboration. Three directors have pulled their creative talents in gemmology and design to help support those with experiences of breast cancer; a cause close the the hearts of women everywhere. They have created four designs inspired by The Haven’s symbol, the Tree of Life. The Haven is the only national breast cancer charity in the UK offering specialised places where people can go for a free programme of in-depth support to improve their quality of life. 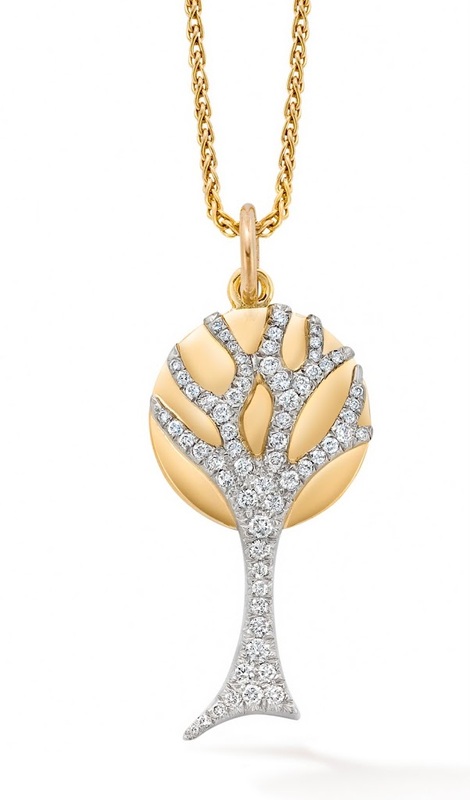 An international emblem of hope, growth and strength, the Tree of Life carries meaning for visitors and women across the globe. 20% of the sale of each pendant will be donated to The Haven helping provide vital support to those with personal experiences of breast cancer, as well as their family and friends. You can read all about it in the latest issue of Hello! magazine.